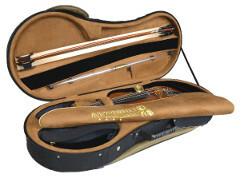 Viola cases same as cases for other instruments are made by different technologies and with different materials. 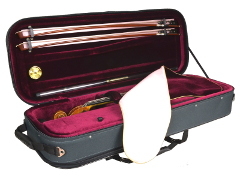 Informations about a variety of materials you can find in CASES FOR VIOLIN section. Choosing proper viola case demands not only taking under consideration how is the case made but also dimentions of owned instrument. Violas occurs in wide range of sizes – from small ones almost like a violin, for students, to very big ones, masters, close size to the smallest cellos. All of cases for viola in our offer have an adjustment but any case is good for every single viola. We hope that our every client will found an adequate case for their needs and demands of an instrument.